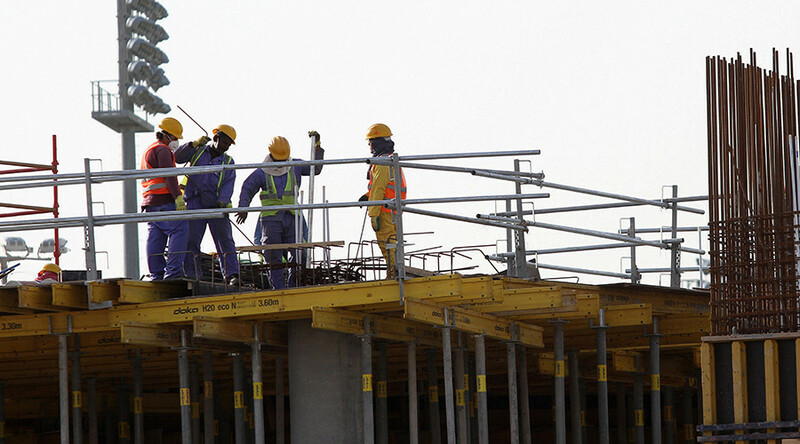 Qatar World Cup workers will be provided with special hard hats to reduce the heat during long hours of work under the blistering Qatar sun. The cooling head gear uses innovative solar-powered technology. Qatar’s merciless desert is one place you don’t want to be stuck doing manual labor, but World Cup 2022 workers find themselves in just that predicament – not to mention other issues that might mar the football cup’s image further, such as numerous rights abuses and labor code violation allegations. The one glimmer of hope then is the hard hat, which reduces skin temperature by up to 10 degrees, according to the Supreme Committee for Delivery and Legacy, the body in charge of organizing the tournament. They have partnered with Qatar University, which has been developing the head gear for two years. “We are confident that this technology will create more comfortable and safer working conditions,” Saud Abdul-Aziz Abdul-Ghani, an engineering professor at the university, said, according to the Guardian. “Our objective was to reduce heat stress and heat strokes for workers in Qatar and the region during the summer month,” he added. People in Qatar are no strangers to 50C (122F) temperatures in the summer. The workers are going to have to wait until June though for the hard hats to be delivered. The professor explains that the concept works by way of a fan blowing air over a cooled material situated at the top of the cask. The cooled air then comes down over the front of the wearer’s face, creating a cool micro-climate around the area. The power stays on for up to eight hours and, according to the professor, lays the groundwork for future technologies used in the hottest parts of the world. The new tech is a welcome change for Qatar, where, since 2007, it has been illegal to make workers toil in the sun at specific hours of the day. All eyes are on FIFA and the Qatar government, meanwhile, as allegations mount of hellish working conditions and forced labor imposed on the thousands of workers. In December, Amnesty International blasted the introduction of reforms affording workers a slightly higher level of protection. The organization argues that three crucial points remain which place the whole affair firmly into the category of slave labor. First is the rule that migrant workers need to obtain their employer’s permission to change jobs, or they will face criminal charges. This means that if a contract is for up to five years, that’s how long you belong to your employer. Secondly, workers need exit visas to leave the country – and in order to obtain one, a permit from the employer is required. Lastly, employers are now allowed to hold workers’ passports, which was illegal until December. “By making it easier for employers to confiscate workers’ passports, the new law could even make the situation worse for some workers. The tragedy is that many workers think that this new law will be the end of their ordeal,” James Lynch, deputy director for global issues at Amnesty International, said in a statement. 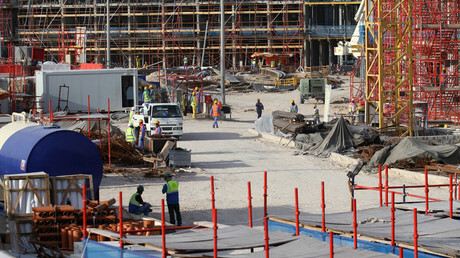 The new law replaces Qatar’s sponsorship law, which also forced foreign workers to seek their employer’s consent to change jobs or leave the country. That 2009 law was flagged as a key driver of abuse of migrant workers. Amnesty says the revised legislation is simply a new name for the old system.